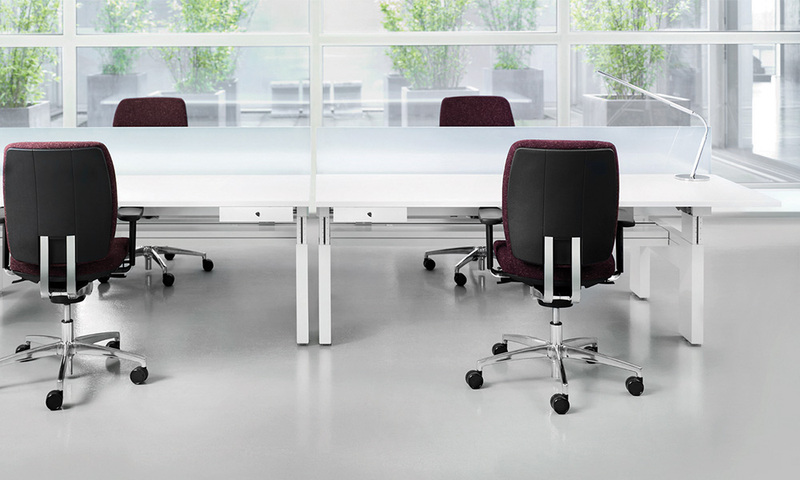 The Dutch designed Metropolis by Markant has been designed with a minimalist approach in the workspace while retaining a robust frame which withstands the test of time and movement in today's office. 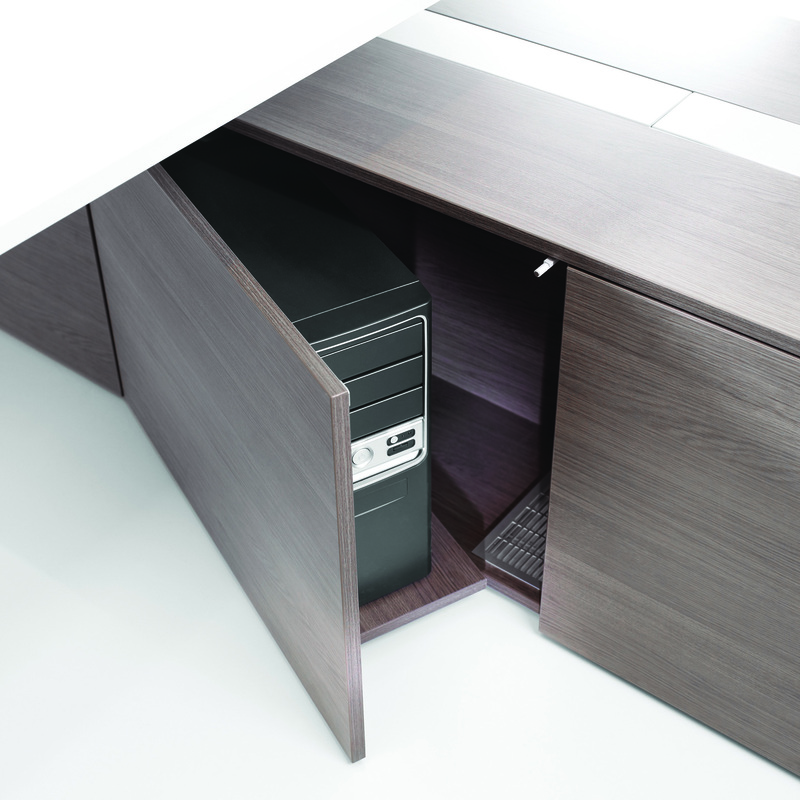 The clean lines are achieved by the use of a fully integrated cable management system which ensures that all required wiring is un-obstructive. 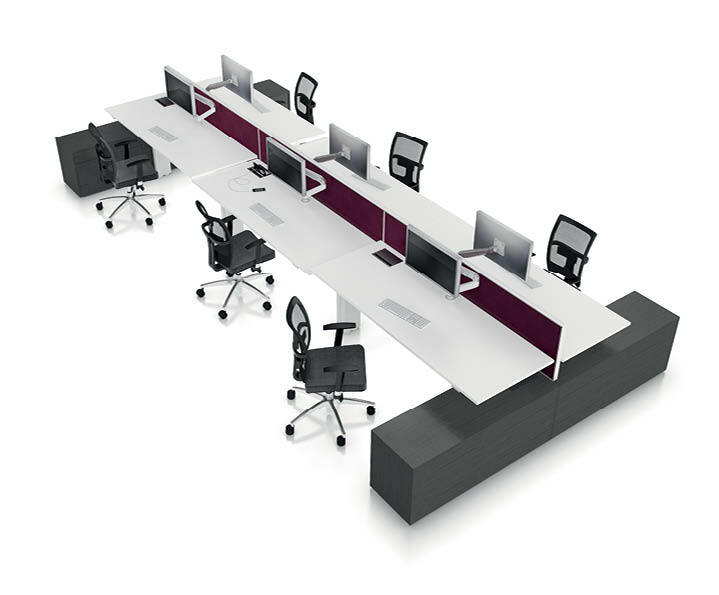 Featuring wind up height adjusters, optional electrical height adjustability and fixed height meeting tables the Metropolis system is a full office solution. Metropolis has been designed to have spaces between workplaces, allowing the installation of screens or glass partition walls for privacy. 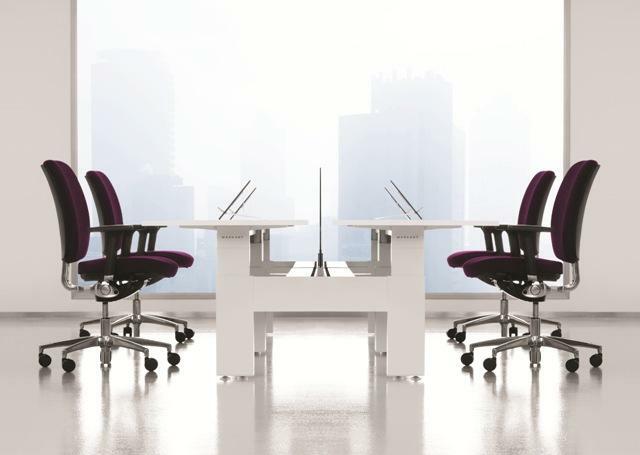 It is available in fixed-height and height-adjustable options, contributing to increased employee productivity and health due to heightened physical activity while working. Its aluminium legs are part of the Markant System Architecture (MSA) modular design concept, and are interchangeable with other Markant lines. Metropolis legs are available in C leg and T leg. 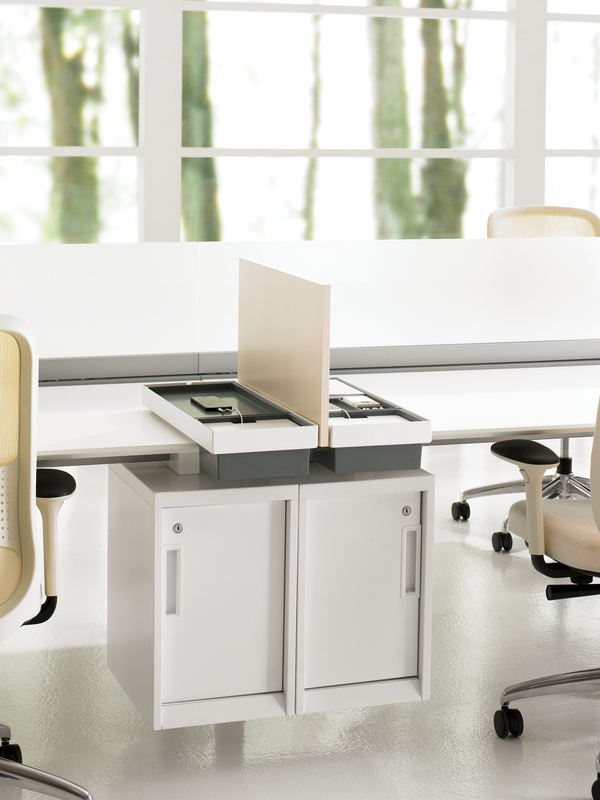 It is available in fixed-height and height-adjustable options. The frame and legs are made of high quality aluminium is 3mm tick. It is available in two colours - white and silver. Can be specified in a range of work tops. Metropolis features lockable cable trays and cable ducts to fully conceal cable infrastructure, and electrical fittings to power electronic devices. Metropolis has been designed to have spaces between workplaces, allowing the installation of screens or glass partition walls for privacy. Its aluminium legs are part of the Markant System Architecture (MSA) modular design concept, and are interchangeable with other Markant lines. The product is GreenTag GreenRate Level B Certified under Scheme B8. See Downloads section for Green Star® recognised Certification.